Many people think of alcoholics as disheveled, homeless winos who have lost everything, but there are people who meet the criteria for a medical diagnosis for alcohol dependence who are highly functional in society and still have their jobs, homes, and families. This type of drinker is known as a functional alcoholic. They rarely miss work and other obligations because of their drinking, although it does happen occasionally, and they usually excel at their jobs and careers. Typically, they are clever and witty individuals who are successful in many areas of their lives. To all but those who are closest to them, they give the outward appearance of being perfectly normal. One of the main reasons that alcoholics seek help for their drinking problems is the eventual negative consequences of their alcohol consumption. When the pain or embarrassment gets bad enough, they can no longer deny that their drinking needs to be addressed. For the functional alcoholic, the denial runs deep, because they have yet to encounter outward negative consequences. They go to work every day. They haven't suffered financially. They have never been arrested. They don't have a problem. The functional alcoholic consumes as much alcohol as any "full-blown" alcoholic, they just don't exhibit the outward symptoms of intoxication. This is because they have developed a tolerance for alcohol to the point that it takes more for them to feel the effects (including hangovers). Consequently, they must drink increasingly larger amounts to get the same "buzz" they want. This slow build-up of alcohol tolerance means the functional alcoholic is drinking at dangerous levels that can result in alcohol-related organ damage, cognitive impairment, and alcohol dependence. Chronic heavy drinkers can display a functional tolerance to the point they show few obvious signs of intoxication even at high blood alcohol concentrations, which in others would be incapacitating. Could it be that you are an alcoholic even though you continue to function well in society? Could your drinking have slowly increased to the point that you have become alcohol dependent without even knowing it? You should take the alcoholism screening quiz. Below is a profile of typical functional alcoholic behavior. See if any of these actions seem familiar. This profile is a female, but the same behaviors are typical for males, of course. It's also important to note that "functional alcoholic" is not a formal medical term or diagnosis. She Drinks Like She Did in College: When she was in college, she was the first to arrive and the last to leave the party. She could drink everyone else "under the table." Most of her friends graduated, grew up and stopped partying. Now in her mid-30s, she still drinks like a freshman away from home the first time. She Can Hold Her Liquor: She can drink as much or more than anyone, but rarely appears intoxicated. She seldom staggers or slurs her speech. She is more than likely a "happy drunk," rarely getting unpleasant or belligerent when drinking. First One at the Bar: She's highly functional at work, but as soon as the work day is over, she's the first one at the bar or she makes a drink as soon as she walks into her home to "unwind." She probably drinks the first two or three drinks very quickly. If for some reason she has to unexpectedly stay late at work, she can become agitated or irritable. Drinking Is a Big Part of Her Life: She talks about drinking a lot and she is often the driving force behind office parties and drinking gatherings after work. She brags about her drinking bouts on her blog and most of the pictures in her photo albums were taken in barrooms. She tends to avoid events where no alcohol is available. She buys the economy sizes and always makes sure there is "enough" alcohol available. Jokes About Her Drinking: She laughs about her alcohol consumption and drinking episodes with jokes like, "I'm a drunk, alcoholics go to meetings." The humor is an attempt to validate that her drinking is a choice. After all, real alcoholics deny they have a problem, right? If confronted about the amount she drinks, however, she may get defensive, angry or belligerent. Friends Ignore the Symptoms: Because she is generally well-liked and fun-loving, or perhaps because she's in a position of authority, those around her also laugh off her drunken escapades. But secretly, they know she has a problem. They talk behind her back. But rarely is she confronted directly about her drinking. She Begins to See the Effects: Although she continues to be functional, it begins to get more difficult to do. She begins to notice withdrawal symptoms when she's not drinking, such as the shakes or nervousness. She's having more frequent memory blanks. She needs more makeup to cover her flushed face, grayish pallor or dark circles. Her drinking antics are becoming more extreme, dangerous or embarrassing. Unfortunately, even when functional alcoholics begin to recognize that they have a drinking problem, they still resist reaching out for help. 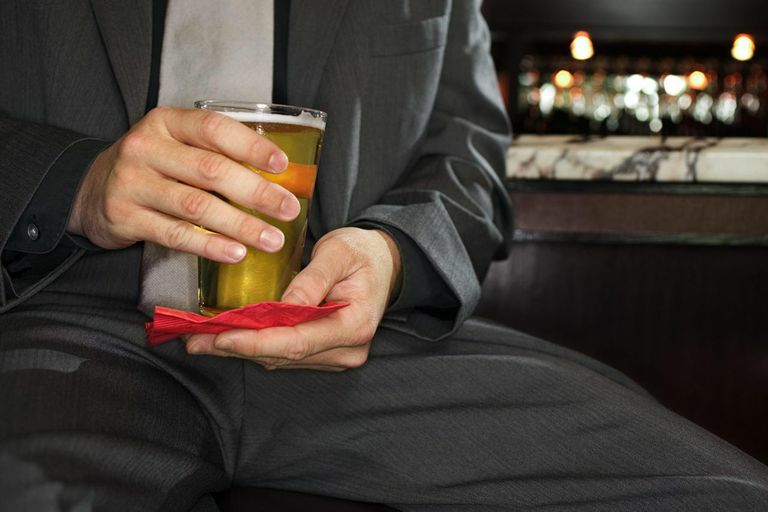 By the time they admit the problem, their withdrawal symptoms—which can begin within a few hours after their last drink—can become more and more severe. They may try to quit on their own, but the withdrawals are too unpleasant or severe. Therefore, they continue to drink to keep the withdrawals at bay and the cycle continues. Usually, it is only when their continued drinking becomes more painful than the prospect of going through the pain of alcohol withdrawal, will they finally reach out for help. But it doesn't have to be that way. Medical detoxification provides medication, vitamins, and diet to help ease the withdrawal process. Help is available. Parnegg, JS. "The Functional Alcoholic." Recovery Sunday Resource Guide: Reconciliation. Recovery Ministries of the Episcopal Church.